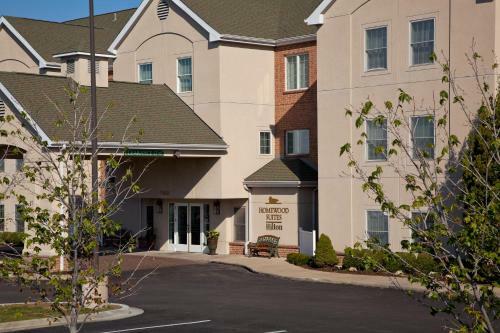 Free hot breakfast spacious kitchen suites with free Wi-Fi a seasonal pool and a free airport shuttle please our guests at the Homewood Suites by Hilton Kansas City-Airport which also offers free parking and free weeknight manager's receptions. The three-floor Homewood Suites has 116 spacious studio and one- and two-bedroom suites with separate living and sleeping areas. The full kitchens come with two-burner stovetops full-size refrigerators microwaves dishwashers coffee/tea makers toasters cookware and tableware. 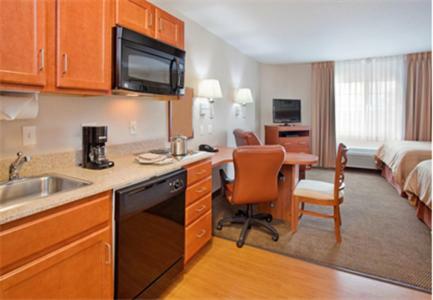 Other suite amenities include free Wi-Fi clock radios with mp3 hookups and flat-panel TVs with premium cable. The hotel welcomes our guests to its free hot breakfast with a rotating menu of scrambled eggs omelets bacon or sausage muffins croissants sweet rolls English muffins cereal fruit yogurt coffee juice and more. The weeknight (Monday through Thursday) free manager's reception includes a light meal and free beer wine and soft drinks. Make some shots on the basketball court or tread water in the seasonal outdoor pool. 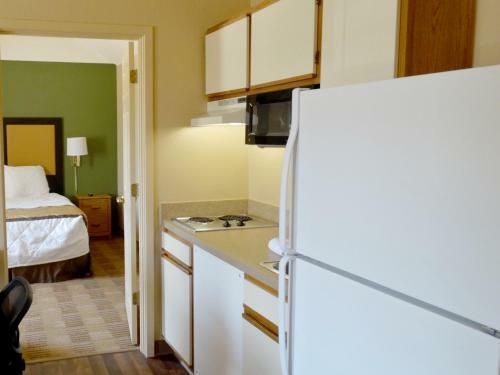 The hotel also has a fitness room a 24-hour pantry market laundry facilities and free parking. The hotel is just east of I-29 a free five-mile shuttle southeast of Kansas City International Airport. The Zona Rosa mall is two miles south of the hotel while downtown Kansas City is 15 miles south. If you're looking to do a little riverboat gaming Harrah's and Isle of Capri are about 14 miles south.